The 79th Pa belonged to Baird's Division. During the Battle of Chickamauga on September 19-20, 1863, the Lancaster County Regiment fought a battle in which it incurred significant casualties for the second time. Although the 79th Pa's casualty total compared to that of Perryville, the regiment experienced battle in a dramatically different way at Chickamauaga. While at Perryville the regiment stood its ground on an open hillside for an entire afternoon against repeated Confederate attacks, Chickamauga was defined by chaos, confusion, and dense woods. The campaign that culminated in the Battle of Chickamauga began at the end of August as Gen. William S. Rosecrans' Army of the Cumberland -- spurred on by Washington -- crossed the Tennessee River and ventured towards Georgia. Mountainous terrain presented significant logistical challenges, and it would be much more difficult to get supplies now that the army's supply pipeline from Nashville was restricted. Just after noon on September 12, the regiment reached the summit of the Lookout Mountain range as it passed through Stevens Gap. While the 79th Pa was enjoying majestic vistas, Gen. Rosecrans realized that his army was scattered, split by the mountain range, and vulnerable to a counterattack. He set out to concentrate his army and withdraw northward through a valley to Chattanooga, Tennessee. The Battle of Chickamauga began in earnest on the morning of September 19 when Gen. George H. Thomas, commander of the Fourteenth Corps (which included the the 79th Pa) dispatched one of his divisions to attack a Confederate brigade rumored to be trapped on the west side of the Chickamauga Creek. A fight escalated as combatants requested reinforcements and both sides committed more men to the fight. The second division that Gen. Thomas committed was Brig. Gen. Absalom Baird's, which included the 79th Pennsylvania (in a brigade commanded by Brig. 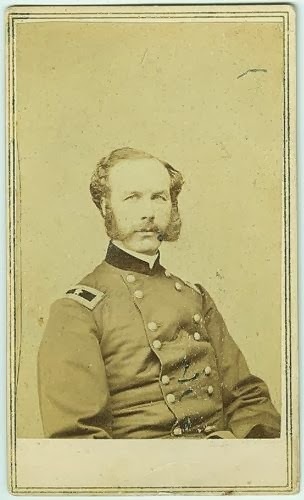 Gen. John C. Starkweather). Starkweather's brigade advanced behind two other of Baird's brigades. Although listed as having an effective strength of 424 men and 21 officers, around 350 men were present with the regiment on September 19 to go into battle. Starkweather's brigade moved in support of Baird's other brigades until Gen. Thomas ordered him to move to the left to relieve a brigade in another division. While advancing through dense woods towards the fight that was supposed to be to the east, Confederates marching northward slammed into Starkweather's brigade just north of the intersection of Brotherton and Alexander's Bridge Roads. Starkweather tried to wheel right and form a semicircle to confront the enemy. As the front right regiment on the advance, the 79th Pennsylvania bore the brunt of the attack. The recently promoted Capt. William S. McCaskey -- who led Companies A and B as skirmishers -- recounted, "We had not moved far, before we were completely flanked, and surprised. I had charge of the skirmishers, but had not gotten them into position before they received a murderous fire from the enemy." McCaskey tried to rally the skirmishers, but the rest of the line withered, unable to do anything about the Confederates firing on their right flank. 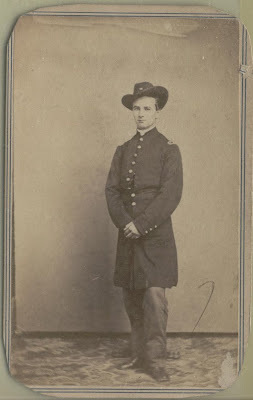 Starkweather's adjutant-general, Lieut. Charles Searles, was shot in the breast and fell from his horse. The Union soldiers got off at most three or four shots and fled to the rear. The Confederates did not advance far, though, as they were struck in their flank and rear by adjacent Union brigades. In these brief disastrous moments, the regiment took most of its casualties during the battle (according to McCaskey). 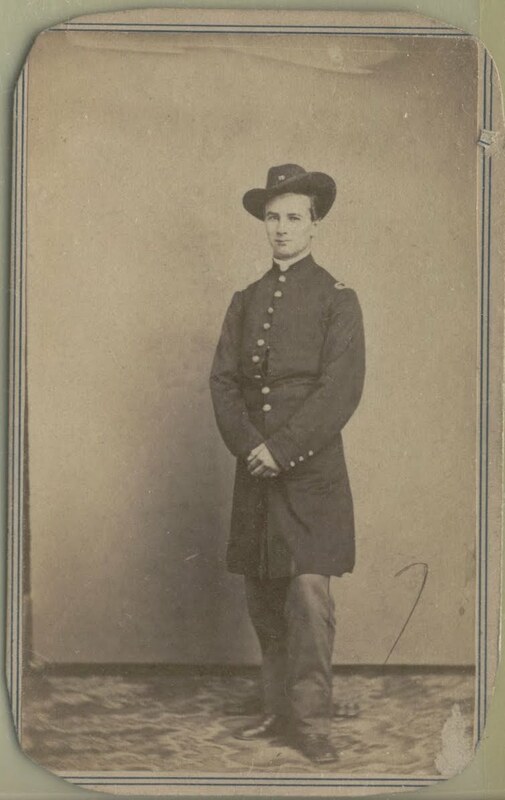 Captain Louis Heidegger of Company F fell mortally wounded. Captain Abraham Godshalk of Company H was wounded in the leg, which was soon amputated. Lieuts. James Benson and Charles Madden were both wounded. From a historian's perspective, it is sad to note that this action silenced the pen of the regiment's active and articulate soldier-correspondent, Corp. Elias H. Witmer. Witmer was wounded in the thigh and left behind as the regiment hastily retreated, never to be heard from again. Others left on the field would later be retrieved, including Cyrus Tool and Corp. Charles W. Wiley of Company B. Eventually, the pace of the retreat slowed as the 79th Pennsylvania gained some distance from the spot of the their rout. Lieut. John M. Johnston, in command of Company G (which served as the color company) recalled, "Our pace slackens. I keep near the colors, and try to gather the stragglers around them; but my heart's in my mouth. I feel more like crying than anything else." Gen. Starkweather began to regain control of his brigade. Johnston continued, "
But now Starkweather's stentorian voice is heard trying to rally the men. He orders the colors to halt and face to the front. I spring to the side of the boy who is carrying the striped flag and face him about, calling on Adjutant [Lyman] Bodie to stop the bearer of the blue flag who is still further to the rear. But the blue flag still goes to the rear, till Starkweather dashes forward with an oath and drawn sword and orders the color bearer back into line. And now a reorganization of the regiment rapidly commences. 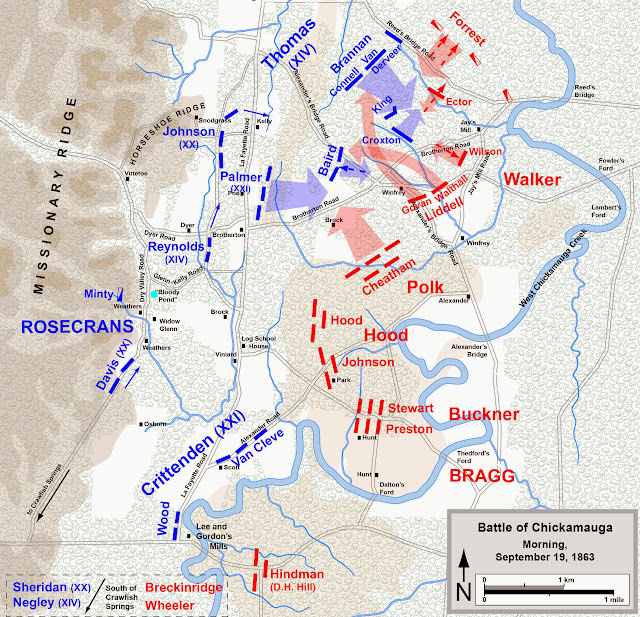 Note: See the Chickamauga section of the "Battle Files" page for sources. Also, see the Civil War Preservation Trust's map of the morning fight for another visual resource.